1998. That was the year I was born in San Francisco. I was an innocent baby and I do not remember anything but I know that my parents brought me to Jakarta, Indonesia after I turned one. Fast forward to my life in Jakarta, where I grew up for 16 years. I was a typical student who goes to school because it is an obligation. When I got to middle school, I placed first honors. Surprised, I did not know how I got the award, but it sparked my motivation to do well in my education. From that moment on, I strove for my academic goals and decided to pursue my higher education in the United States. I started college in Spring 2016. As an introvert, I liked to be alone so I went straight home right after my classes each day. Despite enjoying being alone, as time passed, I became deeply lonely because my family was not with me. I changed my mind about standing alone being a sign of my capability. Thus, I decided to step out of my comfort zone and ask for help. 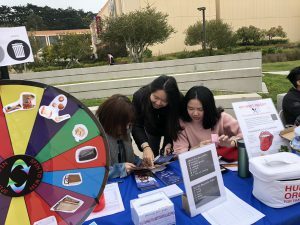 The first place I went to was the English Language Institute which connected me to a career counselor who changed my college life. Through her help, I was able to get a job on campus and I began to build my own support community. 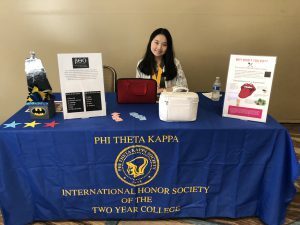 Michelle serves as President of her campus chapter of Phi Theta Kappa. My first job has led me to take on more leadership opportunities. I gained the courage to run for a senator position in the student government and eventually got promoted to an executive position as Student Organization and Club Council (SOCC) Liaison. I worked closely with campus clubs and collaborated with the vice president in directing and coordinating activities for SOCC. It was one of the most rewarding experiences I’ve ever had. Having a campus leadership background, I ran for the President position for my chapter’s Phi Theta Kappa and was elected. I appreciated how my decision to seek help led me to numerous opportunities. Pictured: Michelle and fellow students at ‘Skylloween’. I am currently enrolled at Skyline College and expect to transfer by Fall 2019 with a major in Business Administration. 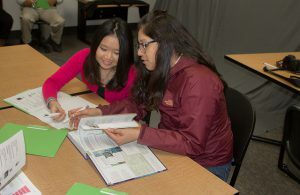 My interest in business began when I took business classes during high school and was further strengthened by the support of my accounting college professor at Skyline. He put faith in me that with my persistence, I can become a successful entrepreneur. Initially, I intended to get my bachelor’s degree and work in a public or private firm. However, my experience working as a tutor on campus moved me to change my goal, and now I hope to one day become a college professor so I can give back to my community. Michelle works as a tutor on campus. Being selected as a 2018 Pearson Scholar has tremendously helped me in terms of financial support. In addition, the mentorship program is very meaningful to me. I have never had a mentor, and I was thrilled to have met my Pearson mentor, Andréa. My mentor is very understanding of me and easily approachable. Living far from my family, I now have someone who I can share my life stories with and who will give me constructive feedback during my educational journey. 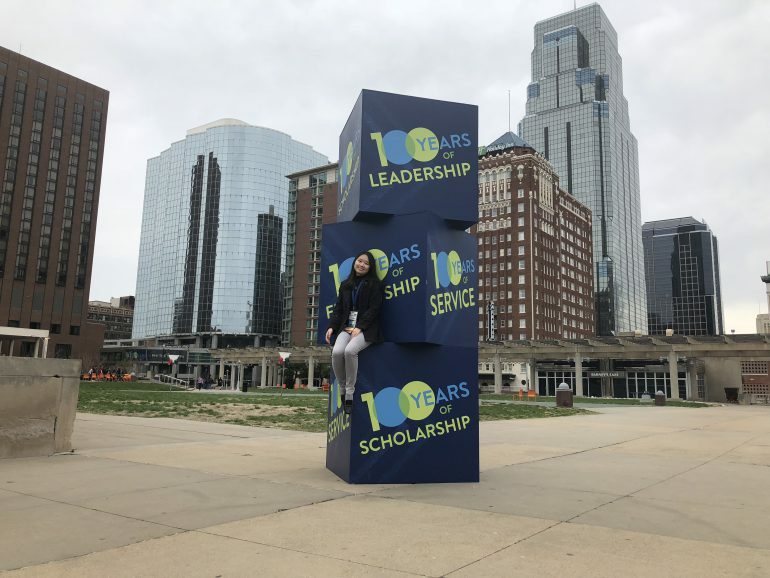 With the community I have built for myself through my leadership opportunities and the mentor component of the Pearson scholarship, I feel I have the presence of physical and emotional support to achieve my goals. Pearson students: Who are the important people in your support community? Share your thoughts when you comment below! 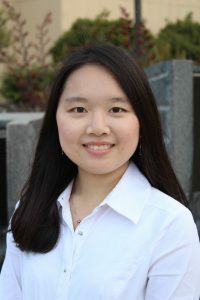 Michelle Huang is student at Skyline College in San Bruno, California, and is a recipient of the 2018 Pearson Scholarship for Higher Education. Michelle majors in Business Administration and aspires to be a future professor. Michelle’s activities cross many spectrums — Phi Theta Kappa, student government, peer tutoring, peer mentoring and community volunteerism. This is Michelle’s first entry for to the Pearson Students Blog. If you are a college student and interested in writing for us – click here to pitch your idea and get started!